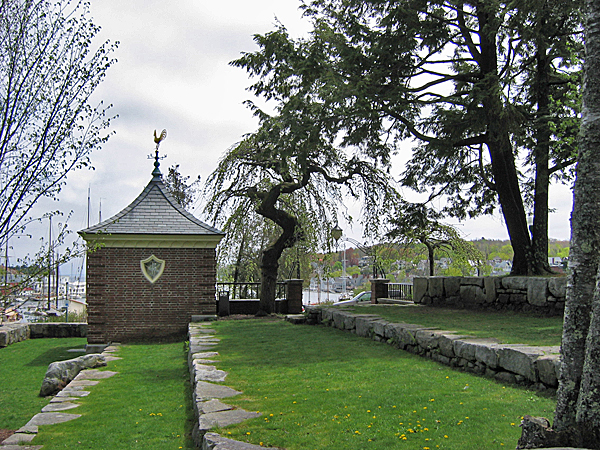 The Amphitheatre and Harbor Park were a gift by Mary Louise Curtis Bok in 1931. 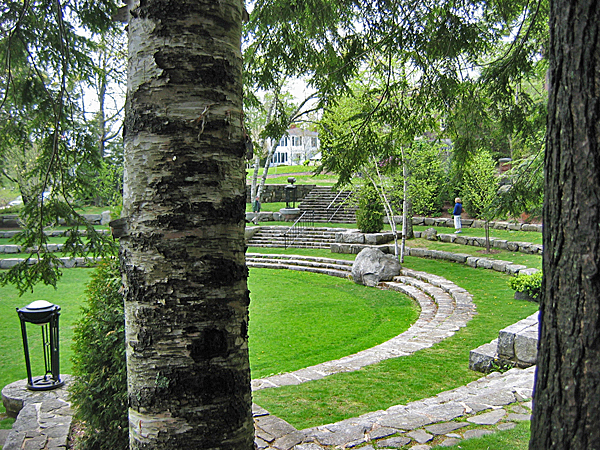 The Amphitheatre, designed by Fletcher Steele and considered the first public Modernist landscape, and the adjacent Harbor Park, designed by the Olmsted firm under the direction of Frederick Law Olmsted, Jr., represent a rare interface between the two designers. 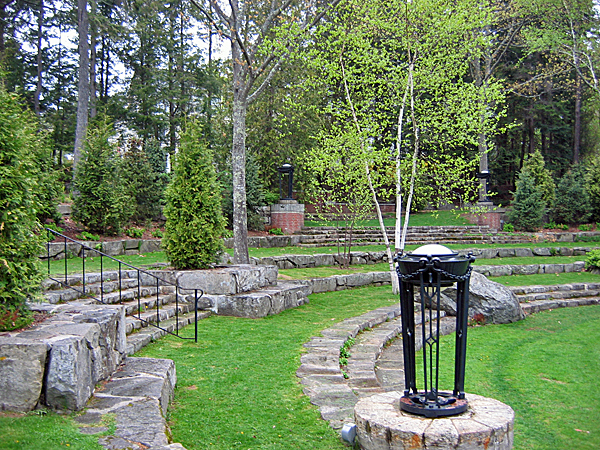 For the layout of the amphitheater's unusual bent axis, Steele responded to the existing site and its vegetation. 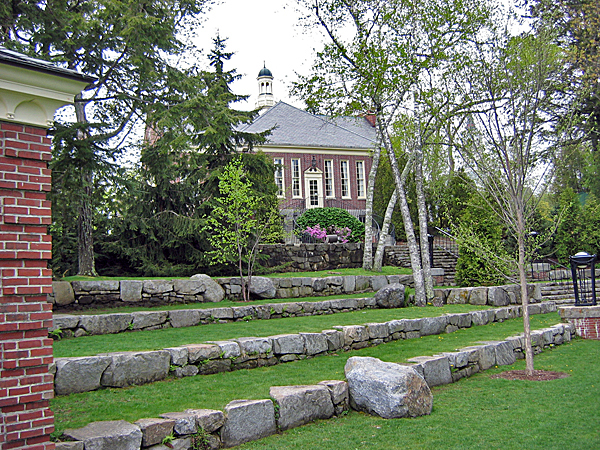 Rather than arrange the amphitheater on axis with the library designed by Charles Loring, Steele curved its tiered seating to orient about 45 degrees clockwise from the library’s axis, setting the stage for the harbor as its backdrop. 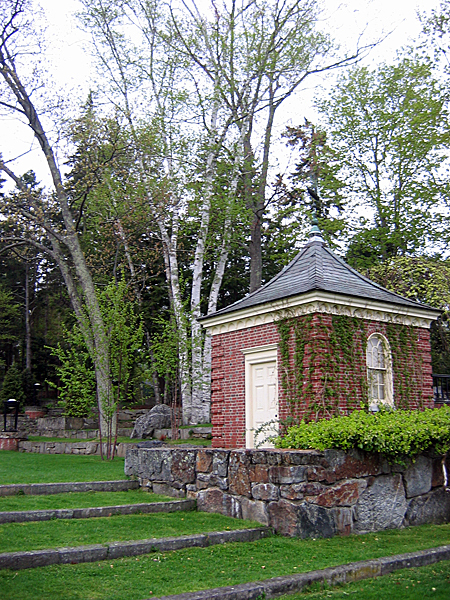 Plantings were limited to those that grew within a five-mile radius including spruce, maples and white birch, while mature elms were preserved and integrated into the design along with large rocks that punctuated the rigidity of the curving ledges. 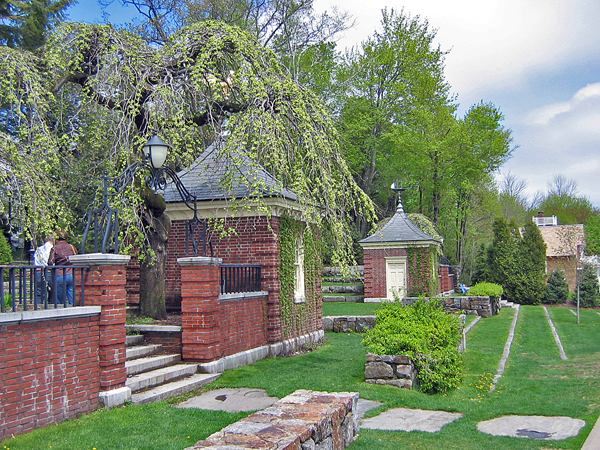 Other built features include the double library staircase (with a brick niche framing a sculpture) and a pair of small brick ticket pavilions with wrought iron arches over the entrance. Elegant tripod lights, each of a different design, established a human scale throughout. 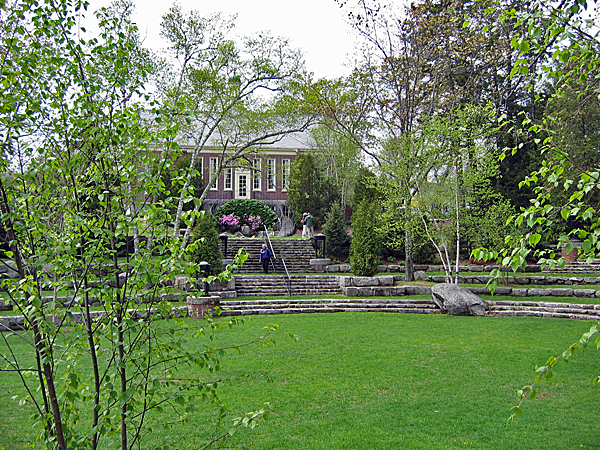 The Amphitheatre and Library were named a National Historic Landmark in 2013.